We are a full-fledged, on-time and on-budget Joomla website design company in India. 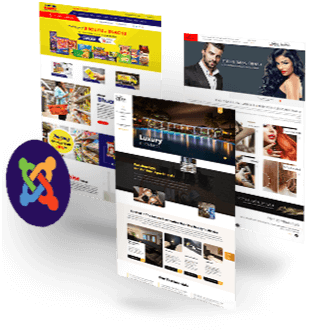 Hire our Joomla developers to build a wide variety of websites namely an eCommerce store, a directory site, a gallery site or a membership site at quite reasonable prices. We design and develop powerful websites with Joomla CMS customization. Our Joomla template design, is also considered among the best within the industry. Get in touch with us to know details about the Joomla development services we offer. Being a reputable Joomla web development company in India, we have been serving clients across various business verticals. Using the latest version of this amazing CMS and its user friendly features & extensions, we have created a loyal chain of satisfied clientele. Our experienced Joomla developers have thorough technical knowledge and expertise in developing functional websites to meet the specific business requirements of our clients. We also provide customization services of existing Joomla website, Joomla version upgrade and post deployment maintenance & support. Avail our Joomla web development services and allow us to provide you with an enhanced Joomla experience. Webguru Infosystems is an ISO 9001:2015 certified company offering high-end web solution to clients worldwide. Avail our Joomla development services to create a bespoke website for your business. Nowadays, almost every business has experienced that it can succeed when its offerings are visible to their customers. For that reason, business owners invest in spending money on developing visually attractive websites and look for sophisticated SEO experts to differentiate themselves amidst the clutter.